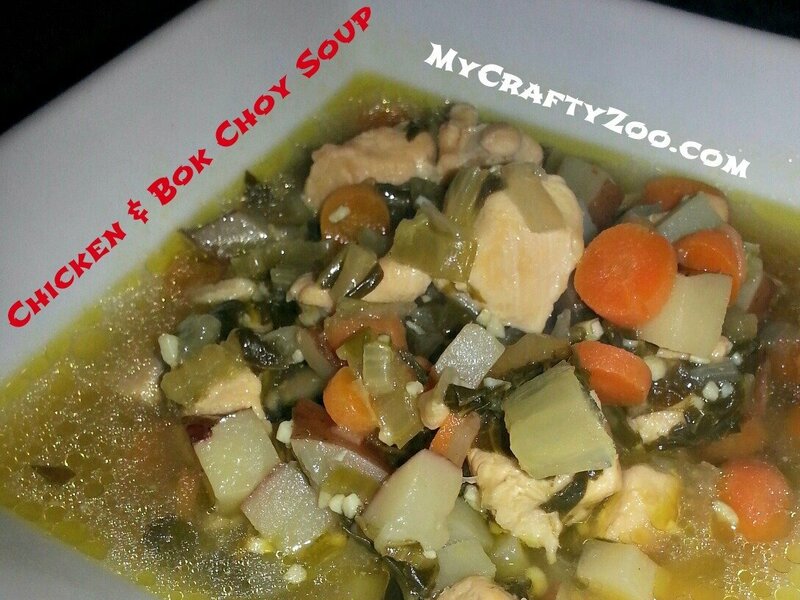 Chicken Bok Choy Soup is absolutely delicious and even healthy! A definitely wonderful way to warm you up! Let me just start with, the soup is great. Light but filling, my favorite combination now that I’m on a health kick better me journey. Anyway, you could easily do it with veggie stock and leave out the chicken to make it vegan, I’d suggest using something such as white beans to replace the chicken so you don’t lose out on protein. To go with it, we made egg rolls (not gonna lie they were store bought) and they went great together, even though this isn’t an Asian soup. There is a lot of chopping, but the soup is super easy. All the ingredients could be chopped in advance if you need to throw it together quickly. Cook chicken and set aside. You could easily use leftover chicken. Add broth, potatoes, carrots, bok choy and celery. Reduce heat and simmer until veggies are slightly tender. Add chicken and continue to cook. I’d love to hear your thoughts, tips and modifications. Also, check out our other fantastic soups and recipes!